Ontogenetic sequence of primary xylem elements. 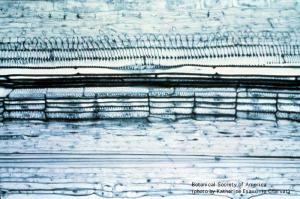 BSA Plant Images Online - Ontogenetic sequence of primary xylem elements (from bottom to top) with annular secondary wall thickenings (rings) gradating to helical thickenings in a moderately stretched cell. 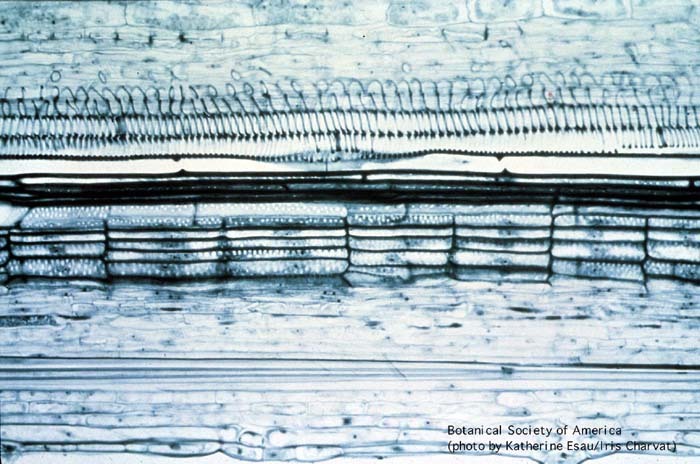 Ontogenetic sequence of primary xylem elements (from bottom to top) with annular secondary wall thickenings (rings) gradating to helical thickenings in a moderately stretched cell.